As a consultant I often try and focus on ways to resolve my clients’ problems. Yet often I find that the problems that they face are exacerbated by their own team, the corporate culture or even in some cases, themselves. Making change is hard. No one will ever deny it. I use a small experiment to prove it. Fold your arms in front of you like you’re mad. Now fold them with the other arm on top. Doesn’t feel right to you, does it? If that is so hard, think about making bigger changes in your life. I’m convinced that is why people complain. Because complaining about the situation and doing something to change it are two very different things. Complaining is easier. Think about it. You complain to someone and get them to agree to “come to the dark side.” You have succeeded in getting someone else involved. Everyone knows that misery loves company… Bring the drinks and you have a party (pity). Not particularly useful, huh? Next time….start making suggestions to make changes. Try to engage your colleagues to get involved to help… Chances are the majority of people you ask will scatter to the wind. They may want the change but change takes work and it’s a thankless job. My experience has shown that while every corporation wants change agents, once those change agents attempt to make change, lemons are thrown their way. They are sometimes reviled in the organization. So in tribute to Einstein’s definition of insanity…the next time you catch yourself complaining about something at work, stop yourself. Use that energy to become a catalyst for change. Start by thinking about what would make it better….What can you do to make it feel less “stinky? Use this as an exercise in strategic thinking. Try and come up with a working solution that both addresses the problem and provides a solution that you can live with. Then just go do it. Don’t be part of the problem, be part of the solution. 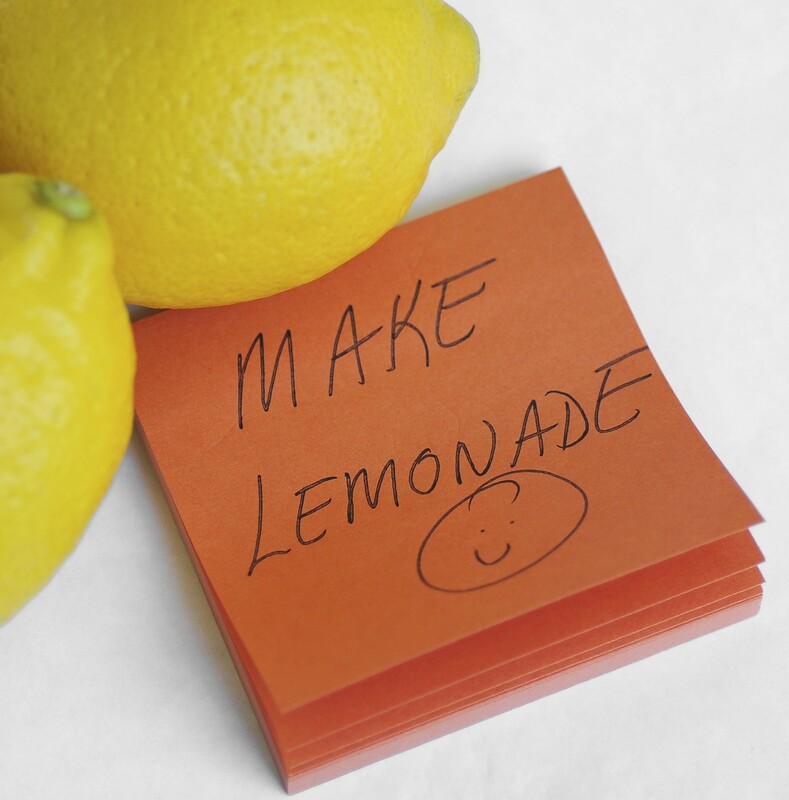 Make lemonade….and make sure to add a little sugar. This entry was posted in Uncategorized and tagged change, complaining, lemonade, lemons, solution by Peritius Consulting. Bookmark the permalink.